The International Virtuoso Competition is open to advanced students of all ages up to 22 years old. We are accepting applications for the following instruments: piano, strings, and chamber groups. The auditions are held annually in Bergen County, New Jersey. All applications and video uploads are due. Finalists will be notified on or before April 26, 2019. Please send us your YouTube or Wetransfer.com link via email to info@ivcompetition.com. One composition from the standard music literature is required for all contestants. Requirement : One composition from the standard music literature is required for all contestants. A second contrasting work is optional, but required for all students ages 15 and older. All auditions must be performed from memory with the exception of wind instruments, contemporary, and chamber music. No repeats should be taken at either audition or recital. No changes to repertoire once submitted please. Video submission will be allowed only for participants who are not within the Tri-State area. Winners will be chosen from all instruments (not individual instruments) within their respected age category. Multiple or no winners may result in each of the age categories and instruments upon discretion of the judges. Comments will be sent via email and judges decisions are final. Please respect this policy. We will upload the names and bios of the judges to the website at the conclusion of the competition. The adjudicators are faculty and/or performing artists who are well respected in their artistic field from the metropolitan area. Results will be announced on or about May 8, 2019, via our website, www.ivcompetition.com. Grand Prize: Solo performance with the NY Tutti Ensemble in NYC (Spring 2019). Gold prize : $250 cash prize (multiple winners possible from different age category and/or instrument division). Recital opportunity on May 20, 2019 in NYC. Cash and special awards will be awarded to the top competitors with the best technical, musical,and artistic performance across all categories.The International Virtuoso Competition is open to advanced students of all ages up to 22 years old. Applications are to be completed online through the form below. due by April 21, 2019. All members of a chamber group must submit the application individually. Please make checks payable to BeneSori Music Foundation. We will not be able to process applications without payment. Application and payment deadline is April 21, 2019. 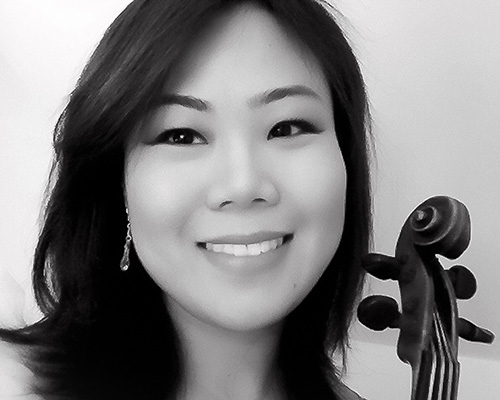 Violinist Jeehae Lee has been a member of The Metropolitan Opera Orchestra since September 2008, and has appeared with New Jersey Symphony, MET Chamber Ensemble, Festival Napa Valley and Classical Tahoe in Incline Village, NV. A native of South Korea, she began playing the piano at age three and violin at six. Winning the junior division of Korea Times Competition at age nine, she received numerous prizes in Korea prior to moving to the U.S. at age fifteen. As a student she held both concertmaster and principal second violin positions at Schleswig-Holstein Music Festival Orchestra in Germany, Juilliard Pre-College Symphony, Pre-College Orchestra, Aspen Sinfonia, and was an orchestral string fellow for three consecutive summers in Aspen Music Festival. She is a graduate of The Juilliard School, where she studied with Dorothy DeLay, Won-Bin Yim and Ronald Copes, and studied with Jacob Lateiner and Harvey Shapiro on chamber music. Her solo and chamber appearances were made on stages of Weill Hall and Zankel Hall at Carnegie Hall, Alice Tully Hall, Hoam Art Hall in Seoul, among others. Most recently, she served on the faculty of David Kim Orchestral Institute at Cairn University, Pennsylvania. In addition to her career as a violinist, she enjoys collaborative piano, and finds teaching musicians of all levels and ages a deeply rewarding experience. 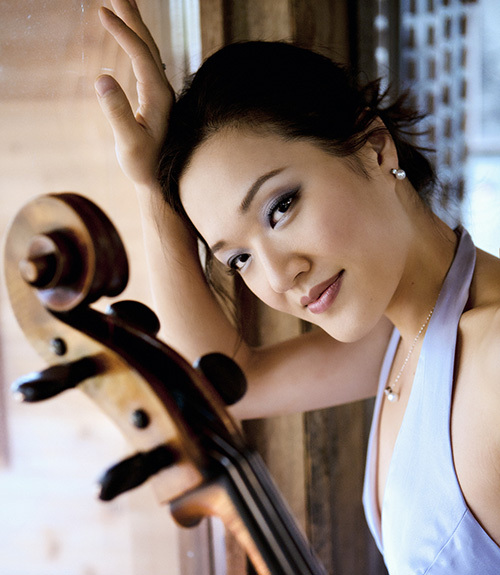 Canadian Korean cellist Soo Bae was praised by The New Yorker as “superb” and by The Strad for being “rich and romantic with crisp incisive technique”. Recently honored as the musician of the month in Musical America Magazine, Ms. Bae is also a winner of the 2005 Concert Artists Guild International Competition, Grand prize winner of the 2006 Canada Council Instrument Bank Competition, and the first Canadian ever to win a prize at the Adam International Competition in New Zealand. She has also been recognized through the Juilliard School with The McGraw-Hills Robert Sherman Award for Music Education and Community Outreach. 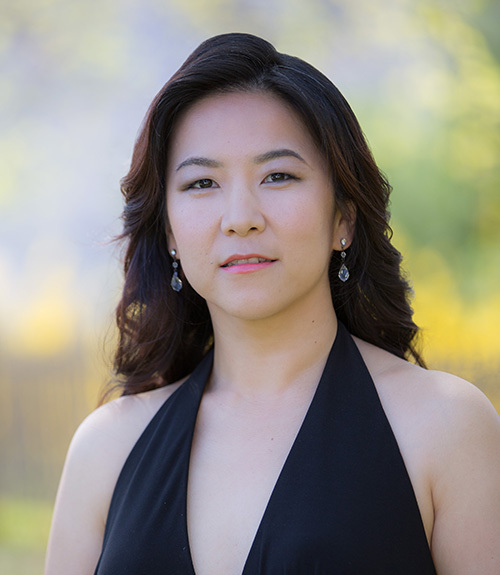 As a recitalist and concert soloist Ms. Bae has performed across the world from HongKong, Taiwan, Japan, Korea, New Zealand, Spain, Austria, Germany, Italy, South America, Canada and the US, including a sold-out debut recital at Carnegie’s Weill Recital Hall and prestigious venues such as Lincoln Center’s Alice Tully Hall, Kennedy Center in Washington, D.C, Forbidden City Concert Hall in Beijing, Oriental Arts Center in Shanghai and Tokyo Opera City Concert Hall in Japan. She was featured soloist for the closing ceremony of the Pablo Casals Festival in Puerto Rico, where she performed on Casals’ own instrument. In addition, a number of cello solo works were written especially for her by such renowned composers as Huang Ruo, David Ludwig, Zou Tien and Shinuh Lee. Ms. Bae’s recently released CD for the Naxos label featuring all solo works for the cello, including the twelve solo caprices by Alfredo Piatti (of which these works often stand in parallel to Paganini’s 24 Caprices for violin) was reviewed and praised for the ‘staggering display of technical brilliance and outstanding range of expression having the ability to transform these works, often thought of as nothing more than etudes, into fulfilling musical jewels’. Her latest album for the CAG label includes the complete Brahms Trios with Elizabeth Larson, violin and Mia Chung, piano. Soo Bae received her Bachelor’s from The Curtis Institute of Music, Master’s and the prestigious Artist Diploma from The Juilliard School where she also served as assistant faculty under Joel Krosnick. Intensely involved in teaching, Ms. Bae continues to give masterclasses and has served as judge to the recent Juilliard Pre-College Concerto Competition, preliminary round to Concert Artist Guild international competition, NY String Seminar in Carnegie to name a few. She teaches regularly at the Curtis Summerfest in Philadelphia and has toured with the “Curtis on Tour” as well as the “Musicians from Marlboro” She is the director and founder of Angelos Mission Ensemble Summer Chamber Music Program in NJ, (www.AMEministry.com) a non profit organization dedicated to training and empowering young musicians to serve and love the community through music. Ms. Bae currently uses the historic Guarneri filius Andreae of Cremona cello dated 1710 on a loan from a generous private donor and resides in New Jersey with her husband and three children. Originally from Beijing, China, Yalin Chi made her début with the Central Opera Orchestra before moving to the United States to study at Interlochen Arts Academy. Yalin has performed at venues including Alice Tully Hall, Weill Recital Hall at Carnegie Hall, Kumho Art Hall in Seoul, Korea, and ZhongShan Music Hall in Beijing China. Her solo recital last year was selected by the Poughkeepsie Journal as one of the weekend top picks, and Leslie Gerber of the Woodstock Times described her recent recital in the Saugerties Pro Musica concert series as “flowing and masterful,” with “gorgeous tonal coloring.” Yalin has worked with musicians around the world, including principal trombonist of the New York Philharmonic Joseph Alessi, principal trumpet of the London Symphony Orchestra Philip Cobb, clarinetist Alexander Fiterstein, and concertmaster of the Seoul Symphony Orchestra Wayne Lin. As an orchestral musician, Yalin regularly performs with Albany Symphony, New Jersey Festival Orchestra, and has held the principal keyboard position at the Hudson Valley Philharmonic since 2014. Yalin studied with Seymour Lipkin and Jerome Lowenthal at the Juilliard School where she earned both undergraduate and masters of music degrees, and continued studies with Peter Frankl at Yale School of Music before joining the West Point Band in 2008. Pianist Chung-Hsi Hsieh has performed solo recitals in numerous cities in United States and Asia, including New York, Boston, Los Angeles, as well as in Shanghai, Beijing, Shenyang, Taipei and Tainan. 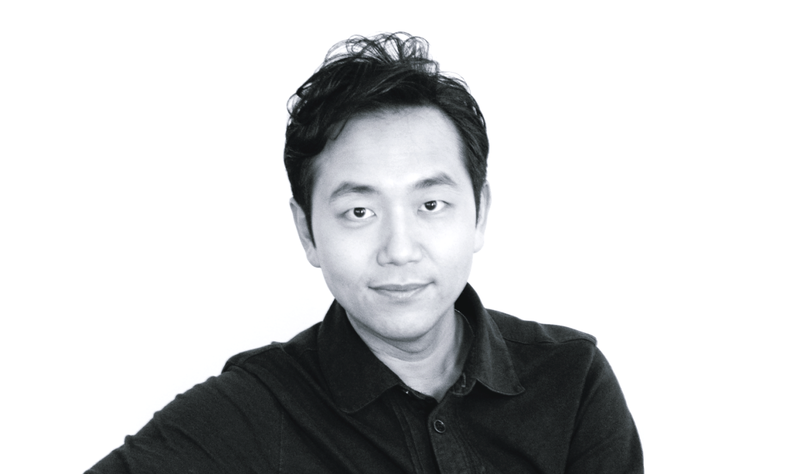 He has also made solo appearances with Interlochen Arts Academy Symphony Orchestra, Rutgers Symphony Orchestra, and Taiwan Symphony Orchestra. As an avid chamber musician, he often collaborates with principles from BSO, San Diego Symphony Orchestra, and members of A Far Cry Chamber Orchestra, as well as Iris String Quartet and members of Amphion String Quartet. 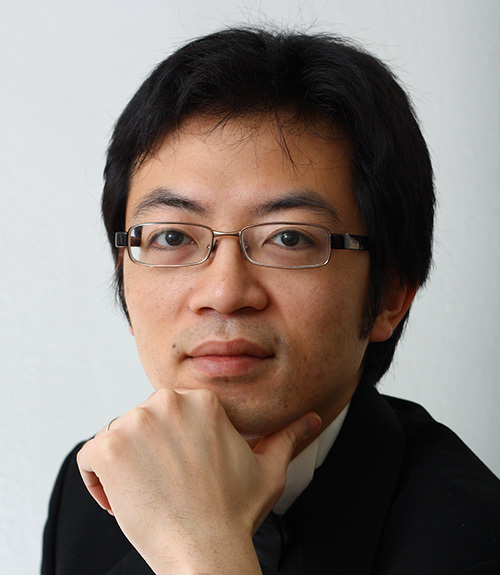 After winning the Junior Division of the National Music Competition in Taiwan, Mr. Hsieh pursued his music career in the United States, winning top prizes in the Wideman Concerto Competition in Shreveport Louisiana, National Symphony Orchestra of Taiwan Concerto Competition, Taiwan International Chopin Competition, Miami International Competition, and Corpus Christi Piano Competition. He was a performing artist in the Irving Gilmore International Keyboard Festival, and Kneisel Hall Chamber Music Festival. Chung-Hsi Hsieh received his Doctorate of Musical Arts degree from Rutgers, State University of New Jersey under the guidance of Susan Starr and Douglas Lundeen. He received his MA and BA from The Juilliard School under the tutelage of Seymour Lipkin. He is currently a piano faculty of Diller-Quaile School of Music. He also teaches chamber music and conducts string orchestra in Bravo! International Music Academy. Welcome to the International Virtuoso Competition. It is with great honor that I was given the opportunity to create the International Virtuoso Competition (IVC) in 2012. In collaboration with the Korean Community Center of NJ, and with the help of staff, volunteers, and many of you, the IVC has become an established and recognized music competition. I am so excited and delighted to have the opportunity to showcase the talents of these superb young virtuosos. The jurors and I are always amazed and impressed each year by the high level of performance of the applicants. Bravo everyone! This New Jersey based international competition has been a dream of mine for many years. Bringing together talented young musicians, from all the major conservatories in the area and abroad, provides them with the opportunity to compete with their peers for recognition. There is so much talent these days, yet so little opportunity to shine. Through this competition, I would like to expose these budding talents and give them the acknowledgment they deserve. A special thank you to all the teachers, parents, students, and friends for their support. Without you, this competition would not have been possible. I would also like to acknowledge Main Violin Shop and NV Factory Studio for their donations of prizes to be awarded. Thank you again everyone and please support us for many years to come! Applications are to be completed online through the form here. Copyright © 2014 by International Virtuoso Competition. All Rights Reserved.